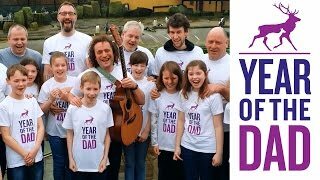 Fathers Network Scotland is a young, dynamic and award-winning charity (charity no. SC041341) with a passion for dads – because the family and society as a whole benefit when fathers are involved in the life of their children. Find out about the work of FNS, meet the team at Fathers Network Scotland, and our Board of Trustees - or contact us. Our vision is for a safe and compassionate Scotland where all children, their families and communities are enriched and strengthened through the full and welcome involvement of their fathers. Our mission is to drive positive cultural change by inspiring organisations, communities and individuals to engage, support and empower men to be the fathers they want to be. In a modern world at odds with last century’s stereotypes of working life, millions of men are choosing to immerse themselves in childcare and domestic life, while women rightly seek equality in the workplace. Government policy increasingly reflects this new reality, but a cultural lag means fathers often remain invisible or ignored when it comes to children and family services, childcare, education and health. Recent legislation on flexible working and shared parental leave will only benefit dads once employers stop seeing children and parenting as the preserve of women and fathers feel it’s OK not to be the traditional long hours breadwinner. That’s where Fathers Network Scotland has a crucial role to play. Our remarkable growth - from a visionary seed project in 2008 to a well-funded and respected catalyst of change with government and business today – shows an increasing appetite for cultural change driven by a positive message and a passion for collaboration. Join us as we seek the very best for Scotland’s families!